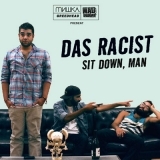 Sorry, no matches on eBay for "Sit Down, Man Das Racist". Sit Down, Man is ranked as the best album by Das Racist. Members who like this album also like: For Emma, Forever Ago by Bon Iver, Acid Rap by Chance The Rapper and Good Kid, M.A.A.D City by Kendrick Lamar. Related links: top tracks by Das Racisttop tracks of the 2010s, top tracks of 2010. The samples are tight, the lyrics are often tongue-in-cheek or addressing un-PC topics, and the delivery is sharp. I like how he turns stereotype/typical thinking on its head in a humorous way.